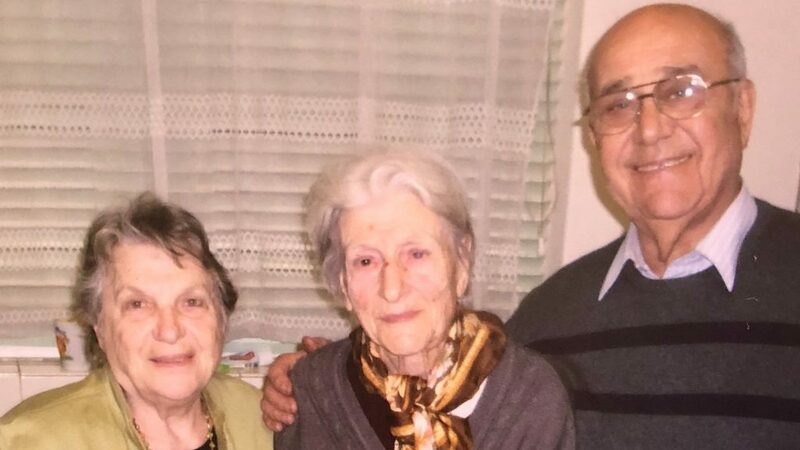 Born in Ikaria in November 1915, Angeliki Frangos says she feels like she "was born yesterday"
Yiayia Angela celebrates her 103rd birthday with her dear friends Nick and Elli Frosinakis. With those words, 103-year-old Greek yiayia Angeliki Frangos, celebrated her birthday last Wednesday at her Adelaide home in the presence of her closest friends and family. Angeliki Frangou (nee Papi) was born in Ikaria in November 1915. She left her island in 1949 when she boarded the Arabic ship Mears and travelled to Australia as one of the many ‘brides’ of that era, seeking a better future away from home. “Like most immigrants, my husband and I worked extremely hard to secure a better life for ourselves and provide a better future for our two children,” yiayia Angela told Neos Kosmos. “When we first arrived, life wasn’t easy for us. They were difficult years and no matter what anyone says, there was a lot of poverty in Australia back then, especially for us immigrants who had to work really hard and perform all sort of jobs in order to get ahead in life. There was little money and a lot of racism, particularly towards the Greeks and the Italians, who were given all the difficult jobs to do. “We hardly ever saw our husbands. They were always working,” recalls yiayia Angela who has six grandchildren and eight great-grandchildren. 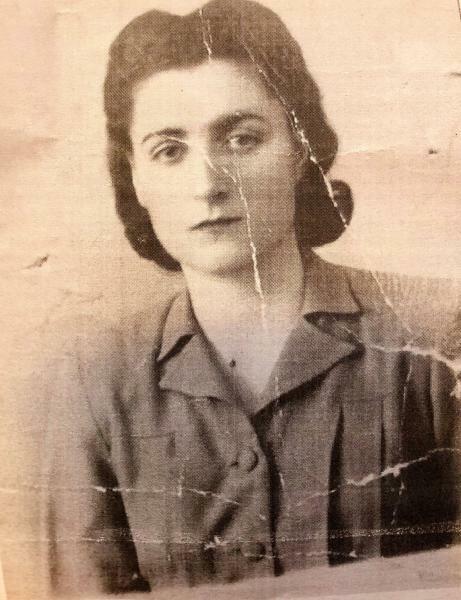 Yiayia Angela as a young woman. Yiayia Angela admits that she was never particularly fond of Australia and she found it quite hard to adjust to the Australian way of life. Nevertheless, she feels grateful for the life she was given and the great joys she experienced with her family down under. “Having two πατρίδες is difficult and for those who haven’t experienced the pain of ξενιτιά, they can’t fully comprehend what it means to be torn between two countries,” says yiayia, who to this day can still recall the overwhelming feeling of happiness and excitement she experienced when she finally managed to travel back to Greece a few years after leaving. “I felt so incredibly blessed that I was able to travel back home and the memories of our visit in 1974 and later in 1989 will stay with me till the day I close my eyes,” she says. Yiayia Angela considers herself lucky for what she has seen and experienced during the 103 years of her life, although she misses her husband and siblings who are no longer alive. “My husband passed away in 2006. He was 90 years of age. My friends of that generation are long gone and none of my brothers and sisters are alive today. I must admit I feel lonely at times and I miss the good old days but in the same breath, I feel fortunate enough to have my children, my grandchildren, and great-grandchildren around me to always remind me that life is a beautiful gift,” she says. Yiayia Angela continues to live in her own house, where she grows her own vegetables and takes care of her household. She enjoys walking and loves nothing more than the company of a good book. “My daughter Sofia is 66 years old and lives permanently in Rhodes. My son Yianni lives in Adelaide and he is the one that looks after me when I need assistance. “I have now learnt to live each day as it comes. For me, there’s only today. When I think back or look at other people of my age who are sick, unable to walk or look after themselves, I feel blessed that I have been afforded this life and so much time to enjoy it,” she says. 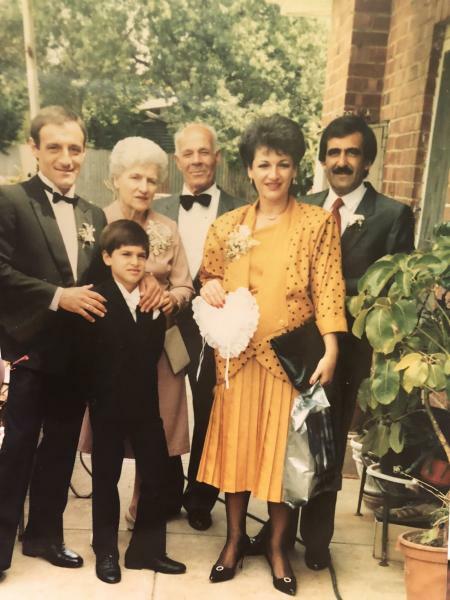 Yiayia Aggela in the 1980s with her husband, children Yianni and Sofia, her son-in-law, and a grandson. Yiayia Angela is healthy, happy and delightful to talk to. Although she is now over a century old, she still feels like she was born yesterday and looks at her life as if it has been a lengthy dream. The concept of death doesn’t seem to faze her. “I do not fear death. On the contrary, at my age, the only thing that death can achieve is to help me rest from this long and incredible life journey,” she said.